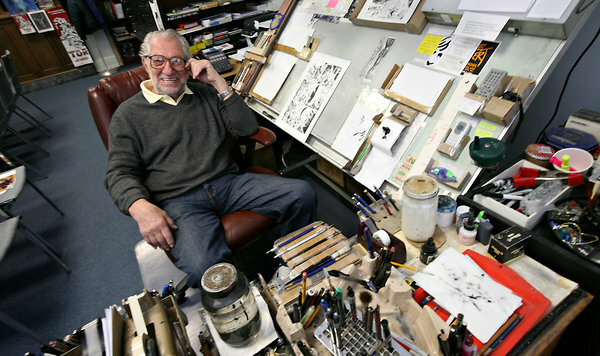 Joe Kubert legitimized drawing comics/cartoons as a career. Graduating High School I had no direction. I grew up inspired by comic book artists, but saying you wanted to draw comics was as remote in the late 1970’s and early 80’s as saying you were going to be an astronaut and go to the moon. Sure, people did it – but there didn’t seem to be any clear path to actually doing so. My first step was a local art school called Atelier Lack (Now The Atelier). Founded by local Minneapolis artist Richard Lack, the school focused on traditional skills and techniques starting with figure drawing and charcoal studies leading up to oil painting. I took a summer course there, which was a great foundation, but my goal was not to work in oils. Next up was the Minneapolis College of Art and Design. At that time the instruction I received veered away from the traditional and was more conceptual. The disdain I got regarding comic art from teachers and students alike at that time had me bowing out after one semester. 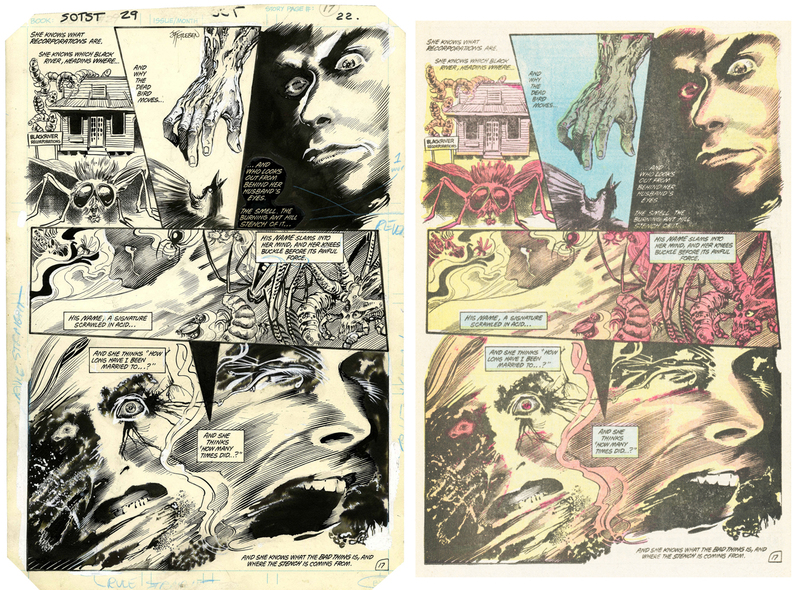 I had actually stopped buying comics in High School – they were not conducive to getting dates – but started picking them up again around this time when Stephen Bissette and John Totleben’s artwork started to appear in Swamp Thing (teamed with a new writer by the name of Alan Moore). This is when comics were still on the newsstand, not hidden away in specialty shops away from the prying eyes of the general public. The artwork and storytelling FLOORED me. It seemed a long shot, but I eventually got up nerve to apply. After a portfolio review and interview by Joe Kubert himself (done long distance as I was out of state) there followed the anxiety that my work wouldn’t be up to par. Time past and I eventually received my letter of acceptance – I still have it, and reading blogs and Facebook postings after Joe’s death, I’m finding out many others saved theirs as well. My parents were always supportive of my aspirations to be a cartoonist – as long as I was actually pursuing it. 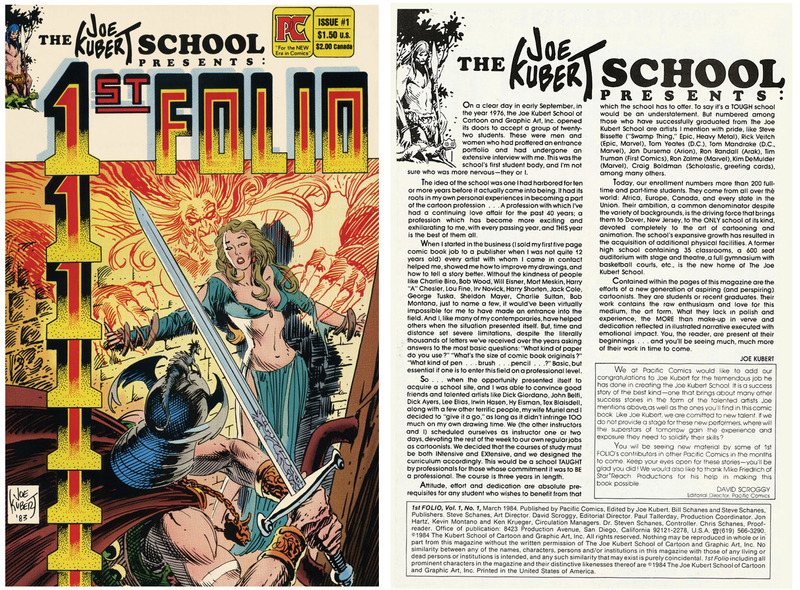 The Joe Kubert School legitimized that career track. With Joe at the helm, the school actually nurtured this love of comic art and storytelling WAY before “graphic novels” starting seeping into the general public’s lexicon and acceptance. Recently I moved back to Minnesota and taught at the Minneapolis College of Art and Design. They now have a whole department devoted to Comic Art headed up by Barb Schulz. 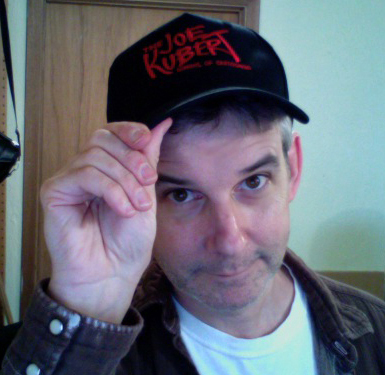 Steve Bissette now teaches at the Center for Cartoon Studies in White River Junction, Vermont. These schools – along with SVA in Manhattan and SCAD in Atlanta – are among the growing number of colleges that recognize comics and cartooning as a legitimate art form. 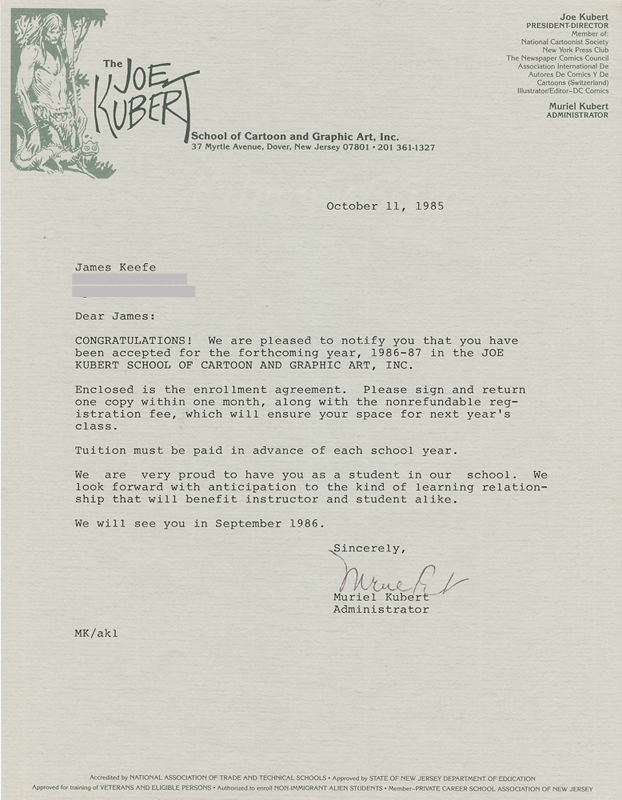 But the first school solely devoted to Comic Art was Joe Kubert’s. He lit the way for me and SOOOOOOO many others. That the school will still thrive with his sons Andy and Adam at the helm is a testament to the hard work, spirit and love of the craft that Joe and his wife Muriel put into it for over 30 years. I’m proud and honored to be counted as an alumnus. This entry was posted in Artist Spotlight, Artists - Cartoonists, Joe Kubert and tagged Joe Kubert, John Totleben, Stephen Bissette. Bookmark the permalink. Ditto. And I still have my acceptance letter as well. I totally feeling it, dude!